Snow Dog, Who has one? With all the snow we have had this year, my quad just can't make it to or on the lakes anymore. So, I have been researching for some alternate means of getting me back on the lake. Here is what I have been looking at. Tracks: 2006 arctic cat 400. Around $3500 installed for the small one and if I were to upgrade my bike at a later time, I'd have to stay in the 300 - 500 CC range, and replace the install kit ($600-700). If I go to a bigger quad I have to sell it all. I hear they are good in snow, but reduce mileage and speed (I don't care about the speed). Tundra: Used one around $2000, extra insurance and registration, more maintenance, larger to store, about the same as transporting my quad. Snow Dog: new one 10 hp without reverse around $3900 13 hp with reverse around $5000, no insurance or registration required, smaller easy to transport (even in a van/suv) and store, reliable Brigs and Striation 10 or 13 hp motor, 5 liters / 100 km, max speed 30 km, designed for hunters and fisherman. Check out the videos on line. Does anyone have a snow dog and how do you like it. I watched a lot of video's / review but to get the details from someone who has one would be useful. It might depend on where you plan on fishing. For here with the current conditions the Tundra would be the best option with the slush beds. Forget the ATV tracks or snow dogs with these conditions. Even snowmobiles are getting stuck. You need some speed and HP to get thru these slush beds. Too slow and your stuck. Too heavy and your stuck. Who is telling you no insurance needed on snow dog. I think I would look into that very carefully. I have Honda on tracks, snowmobile and the 10Hp Snowdog as well. Quad on track has lots of pulling power - no speed, plus you must cover what you are towing. with all the gear if the snow is hard packed. If there is 6-8" of slash under a foot or more snow I stay home. My neighbors VK 540 beat my machines in that condition. Last February we had no problem on Temagami with snowmobile or Snowdog, but the conditions were different. Yes. There is no insurance or registration needed for snowdog. No trailer either. We could fit it in my son's Rav-4. Never used a snow dog,but if you have an atv already tracks make sense to me.its an all season machine,1 set of insurance and great for snow blowing the driveway.Never had mine stuck in the slush so far ,but I can imagine.No speed but awesome pulling power. I,m close to Simcoe, have cottage on Nipissing and my son lives in Ottawa.. 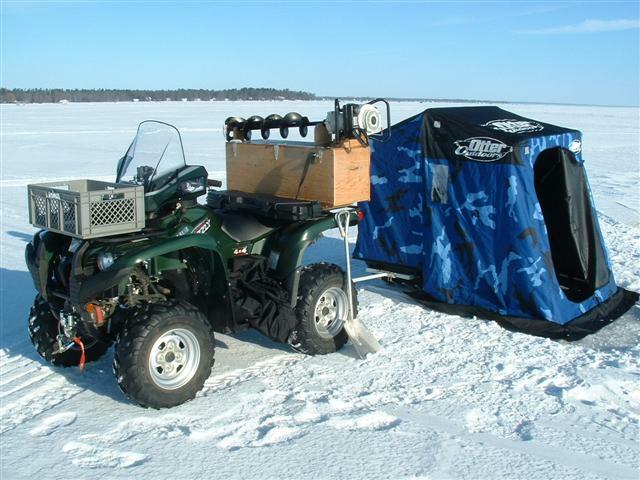 If we want to fish Ottawa River I'm not towing sled or atv. Since I,am over 70 with double knee replacement try to do things on the easy way. If I have to walk to a fishing spot I,ll take my Evo on a smitty sled. So I guess that the snow dog is no good in slush (which we have a lot of this year)? We have a lot of snow in North Bay and further north, how is it in deep snow say 3 feet? The problem is the sled. To much drag and the machine will try dig down to solid. In the slush it will have no traction so you have to disconnect the sled, walk behind the dog and pull the sled by hand. 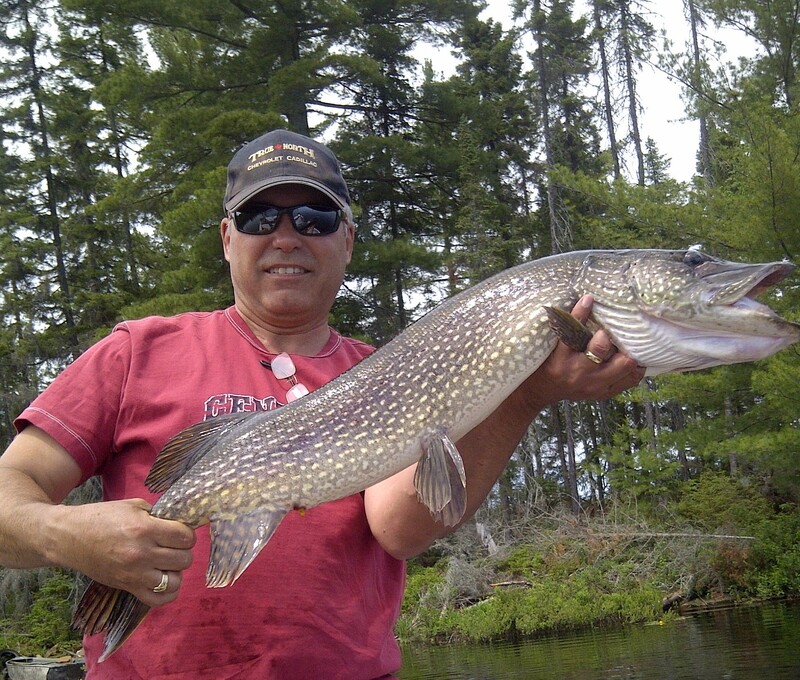 Did it last time on Ottawa river. 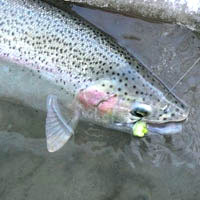 For me ice fishing as I used to do it almost done for this winter. If the is a well used trail with packed snow there is no problem. So for this year no Temagami trips, Nipissing (for me) is the same. At my cottage the blown snow covered the snowmobile trailer, some places there is more than 8 feet snow. Thanks for your opinion. Still not sure if it's a snow dog 13 hp with reverse or a tundra. Before you all run out and buy a Snodog, I asked MTO about the legality of these thing off private property. This is what I got back from them. Even the people renting them didn't know. I have no interest in the outcome whether or not they are classified sometime in the future, just be aware you may be stuck with something. Thank you for your e-mail regarding the use of Snow Dogs in Ontario. Based on our current assessment, we have determined that the Snow Dog does not meet the classification requirements of an off-road vehicle (ORV) or motorized snow vehicle (MSV) under the Highway Traffic Act (HTA), Off-Road Vehicle Act (ORVA) or Motorized Snow Vehicle Act (MSVA) regulations. ORVs and MSVs riders must meet registration requirements, and must obtain either a plate or permit to operate their vehicle on Ontario roads or lands (i.e., provincial highways, trails). Vehicles that do not meet the ministry’s requirements may only be used on private property (i.e. property must be owned by the vehicle operator or the vehicle owner must obtain permission from the property owner prior to operating their vehicle on the property owner’s property). The Snowdog may also be operated on crown land, unless the Ontario Ministry of Natural Resources and Forests (MNRF) specifically prohibits public access to certain specific lands. Operators of the Snowdog must consult the MNRF to determine whether there are any restrictions in place which could prohibit operation of the vehicle on the land which the owner intends to operate the machine. Thanks and please feel free to contact us if you have any additional questions. Fisherman: Interesting...I have called and left a message with the OPP on the legalities of driving it down the street to the lake. In Callander, we are permitted to drive an ATV and Snow machines on the streets but they are insured and licenced. So, not sure about the snow dog and that would be a show stopper for me. I will update when I get a call from the cops. I also called the SAVE (Snowmobile, ATV and Vessel Enforcement) Team from OPP, they have absolutely no idea. MTO is the one that makes the rules. I would not put trax on a 400. Way too hard on your quad. I think they recommend at least a 500cc. I have a 700 AC and with the conditions in the bush this winter; I've been stuck multiple times on logging roads with no packed trail. It's no fun trying to dig out. Out on the lake, no problem cuz the snow gets packed from the wind. If I were you, upgrade to a larger cc bike; the Honda 500 has power steering...and no need for a sled. If going to back lakes, always go with a friend.